Members of the Greater Louisville Association of Realtors® posted 1,142 sales during the month of December 2013, a 17.2% increase over December 2012. Year-end sales for 2013 totaled 14,803, the best production year in terms of sales volume since 2006 which posted 15,185 sales. GLAR's annualized sales volume posted its 10th consecutive growth quarter, the last decline was noted in Q2-2011. For the year, average sales prices for the GLAR service area posted a 4.23% increase when matched against a similar period last year and currently stands at $175,665. 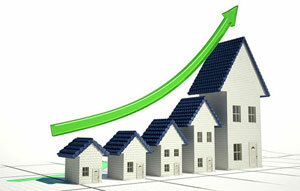 "By all measures, 2013 was a strong year for the Greater Louisville housing market", said GLAR President Lester Sanders. "Strong sales volume, increasing average sales prices and affordable financing combined to make 2013 shine," said President Sanders. "Homeownership matters, and we're excited to see the return of improving market conditions", he added.